These are the patterns that work well when you want to occupy your fingers without taxing your mind. These are the perfect projects to take to knitting groups or knit nights where the theme of the evening is social interaction with some knitting. These are the perfect projects for waiting in doctor's offices or at the kids' sporting events. The added value of this book is the guidance it gives you in choosing yarns appropriate for the pattern. We knitters are often faced with the "what shall I knit with this?" dilemma, and you can find suggestions within each of the stitch patterns as to what will work best. 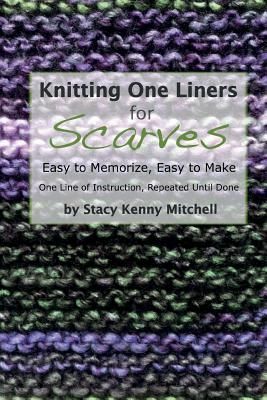 This book is not intended to teach the basics of knitting, and assumes the reader knows how to cast on, bind off, knit, and purl.